With enough room for 12 passengers, the ability for transcontinental flights, and top of the line features, this aircraft is perfect for your business. Stand-up cabin at a midsize price. 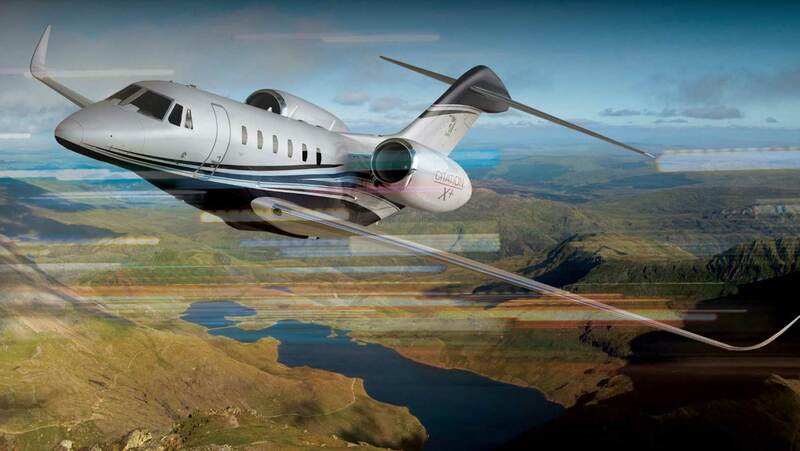 The Cessna Citation Latitude is spacious, efficient and reliable, making it an impressive business jet. One of the fastest midsize business jets on the market, the Cessna Citation X+ will have you outpacing the competition in more ways than one. Flying coast to coast in just 3.5 hours, the Citation X+ will help your company stay on top as you sit back comfortably in its luxurious cabin. Bring time back on your side with this aircraft lease. Heralded as 'the smartest jet in the sky,' the Cessna Citation Longitude provides you with everything you could ever want in a business jet. From innovative in-cabin technology and sleek cabin design to smart touch controls and state-of-the-art flight deck technology, the Cessna Citation Longitude takes in-flight luxury to the next level. Time-saving speed. Ambitious range. Low cabin altitude. Modern additive manufacturing techniques. A world-class cabin that is configurable for your mission and the quietest in the class. All this for the lowest total ownership cost in its class. No other aircraft can compete with this level of performance and comfort. It’s not just a flight anymore. It’s a whole new experience. Get started with your private jet financing with help from the experts at Global Jet Capital. With a wealth of knowledge and expertise in the private aviation industry, our private jet financing team has what it takes to meet any of your aircraft leasing needs. Contact a Global Jet Capital representative today and explore the range of private jet financing options available.